As one of the publishing industry’s most highly-anticipated children’s literary events in the world, the Bologna Children’s Book Fair looks set to attract tens of thousands of trade visitors through its doors, including 1,400 exhibitors from 77 countries. Now in its 55th edition, the fair, which runs from March 26-29, is a key event for international publishers, authors, illustrators, literary agents, distributors, teachers, developers and translators to network, negotiate and gain new insights into the industry. Among those participating is a large contingent from China, this year’s Guest of Honour, who will stage a large scale exhibition dedicated to the best of contemporary Chinese illustration, 3000 titles of narrative, illustrated books, cartoons, books specifically for parents to read to their children, manuals for learning Chinese and books about science. 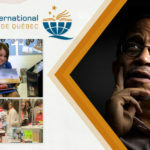 In the course of its history, the fair has extended the scope of its activities to include the world of digital publishing, apps, animation and licensing, becoming a leader in kids and young adults’ publishing and entertainment, increasingly acting as a creative laboratory and innovation incubator. Covering more than 20,000 square metres of exhibition space, more than 26,000 publishing professionals visit the pavilions each year, many of them taking part in the 250 workshops and conferences. In addition to events such as Bologna Digital Media, Bologna Licensing Trade Fair and the Bologna Children’s Book Fair in the City, there are a host of award ceremonies showcasing the top international prizes in children’s publishing: the BOP – Bologna Prize for Best Children’s Publisher of the Year; the Bologna Ragazzi Award for Best Illustrated Books; the Bologna Ragazzi Digital Award; the Fundación SM International Illustration Award, supporting emerging talents in illustration; the Strega Ragazzi e Ragazzi award; the Ars In Fabula Grant Award, the new edition of the translation contest; and the Silent Book Award. Reflecting the growing demand for literature for younger audiences, the fair is taking place under the theme ‘Fertile Ground for Children’s Content’.